My essay on MMS (Miracle Mineral Solution), which I will publish later today, will probably not be one of my most popular, but it is a necessary one that I have been delaying since Dr. Gabriela Segura published her article on the subject of MMS about a year ago. I think it’s a most important topic, so much so that I have been using myself as a guinea pig, but using it only transdermally. I cannot possibly ever imagine swallowing it. I have some professional associates who do recommend the oral use of MMS and to them I would say please read my MMS essay carefully, because the contraindications need to be known about any substance, even those that are vastly safer to use like magnesium chloride and sodium bicarbonate. I want to make it very clear that I am against medical fragmentation and favor a protocol approach to the treatment of disease. Thus the propaganda that commercially oriented people and health sites put out about the use and efficacy of a single substance for the treatment of disease is often highly exaggerated. The proponents of MMS are some of the worst offenders in this regard since they only know how to talk about MMS but not anything else that is important for people’s recoveries. Last week I reviewed two videos, one on the use of Black Salve and the other on THC laden hemp oil for the treatment of cancer. Both, I would say, are vastly superior medicinal substances than MMS for the treatment of cancer. Practicing health care practitioners should have both Black Salve and hemp oil in their dispensaries. Unfortunately hemp oil is illegal, but Black Salve can be purchased for animals and can also be made at home quite legally. It seems clear that the Black Salve is highly effective though somewhat painful to use. Hemp oil is gentler but if you actually stand up and shout that you are using the Black Salve for the treatment of cancer and sell it, the FDA will draw and quarter you or come down after you in South America like they did Greg Caton of Alpha Omega Labs who they literally dragged back to the states and into prison. Combined together one has the beginning of a potent cancer killing protocol. Add bicarbonate, magnesium chloride, Nascent Iodine, selenium, clay, my favorite superfood, Vitamin C, selenium (from Megafood), and we have something western doctors just cannot get their minds to understand. When we use a protocol with the above substances we catch cancer cells in a hellish crossfire – a murderous all out assault on cancerous conditions. 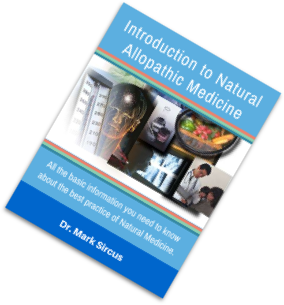 MMS does not make it in my Natural Allopathic protocol because of its toxicity. The Cesium high pH mineral protocol – this is probably the most powerful protocol for metastatic cancers, and can be combined this with PolyMVA, the Budwig diet, coffee enemas, detoxification on many levels – whole body, liver and gallbladder, parasites and more, PAPIMI pulsing electromagnetic fields, Rife bioresonance, Lakovsky MWO, Orgone Accumulator, ionizing footbaths, ozone sauna, infrared sauna, Matrix Regeneration Therapy (MRT), Microcurrents for lymphatic congestion, herbs, homeopathic remedies, naturopathy, nutritional supplements, systemic enzymes, Hellinger Soul Healing, psychotherapy and more – this is the premise of the Da Vinci Cancer Protocol – aggressive and powerful – there is not one product that can do all this! He uses many of the usual supplements: Iodine, bicarbonate, magnesium, systemic enzymes, various colloidal minerals, including cesium chloride, POLYMVA, a patented palladium, Lipoic acid complex, neutraceuticals, herbal formulas and more. In a future essay I will also be reviewing the work of Dr. Chris Shade who has developed a most fascinating and complete protocol for heavy metal chelation. 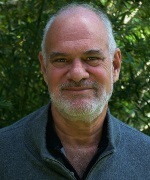 I talked to him on the phone and was in awe of his knowledge and how easily he could express the most complex concepts about detoxification pathways and the enzymes that run them. When one runs into a genius one has to sit up and take notice. Tomorrow’s MMS essay is long, even by my standards. It is a delicate subject but I take my gloves off and go 15 rounds to deal with the level of religious fervor that is caught up with MMS. Below is a radio show I did recently about a protocol for the Gulf Toxicity Syndrome that the federal government has swept under the carpet. Could you explain a little bit about what are the effects of MMS in our DNA. That is something that sounds very important to know. BTW, I read your book Transdermal Magnesium Therapy and got very good results with and inflammation. Please read the article by Dr. Gabriella Segura , she gives the explanation on how oxidative stress caused by MMS affects our DNA. All I’ve heard until now are the proponents; as a proponent and user of real bio-oxidative therapies, nutrition and detox, I have resisted using MMS for good reason I think and I’d like to see what Dr. Sircus has to say about it. of financial concerns and the increase in health problems in our country. post antibiotic. I see his treatment a success. isn’t bad at all) whereas the sodium bicarb doesn’t exactly have a pleasant taste. do work. So far everyone has done well and found creative ways to get it down. Everything has its purpose and place and what is appropriate for individuals depends on how they test for a product or modality. Using kinesiology I allow the body to direct me towards the modality or product for someone’s condition. In addition, sometimes I need to use my ProEft skills and have successfully helped people move past their emotional blocks to restoring their health and wellness. There is room for inexpensive remedies (like sodium Bicarb and MMS). product that has been researched with successful results. To Valerie: It’s very crucial to know what MMS does chemically, what it does on a cellular level, especially to your DNA. The devil is in the details… best to know what it does Exactly before using it or even recommending it to someone else.